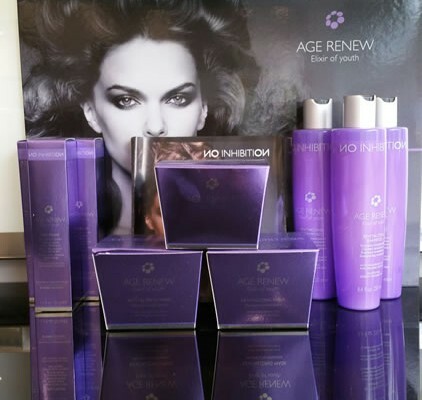 Introducing a fabulous new hair care range for ageing, chemically and environmentally damaged hair types. 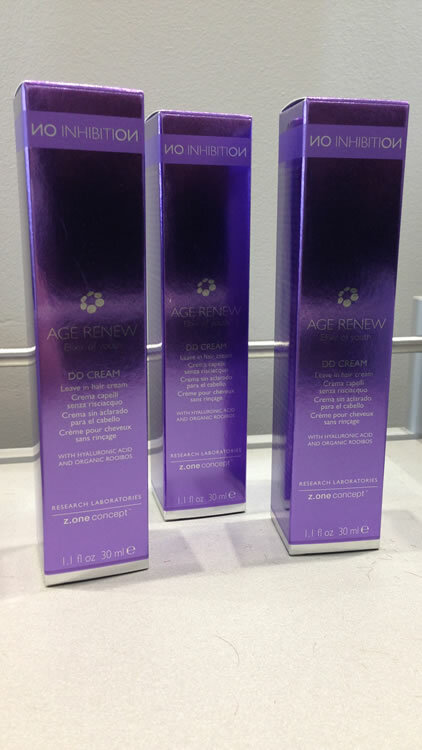 Age Renew consists of revitalising shampoo, revitalizing mask, revitalising treatment and revitalizing DD cream. This luxurious range is for ageing and chemically damaged hair, it can hold back the aging process and visibly rejuvenate damaged hair. 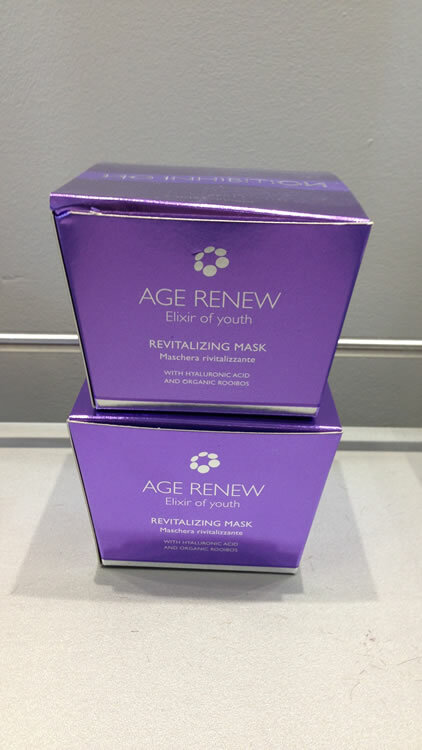 It is the elixir of youth for your hair! Every woman wants beautiful shiny healthy hair but because of chemical treatments and environment pollution, hair does not always look this good. 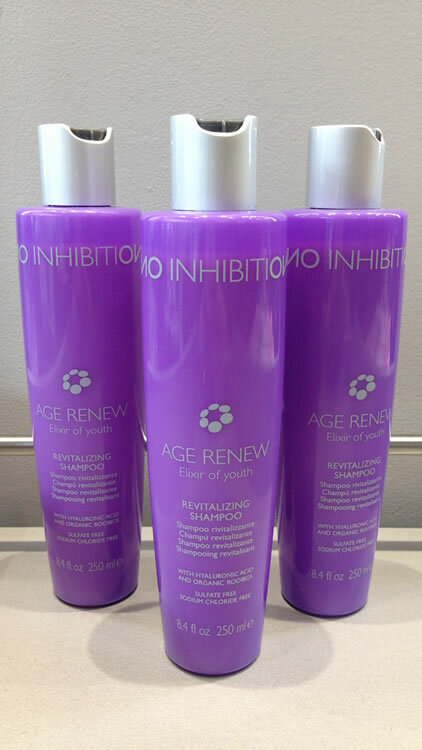 No Inhibition Age Renew gives hair the elements it needs to delay the aging process and to rejuvenate the hair. 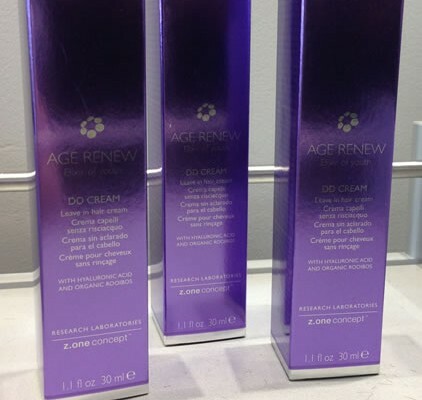 The combination of state of the art ingredients combined with natural ingredients has an immediate “lifting” and “filling” effect, restoring lustre and vitality! Combined with hydrolyzed rice proteins, this potent antioxidant has an anti-aging effect improving the hair’s appearance for increased lustre, colour and manageability. 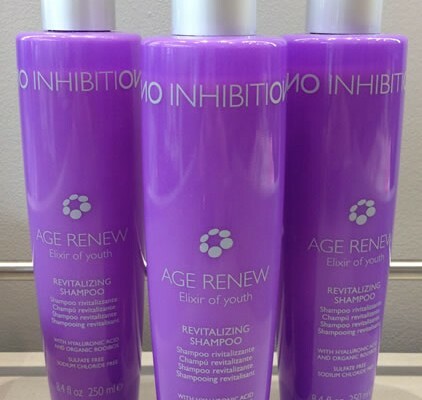 Works on the hair, prolonging and improving hair colour and protecting the hair from atmospheric agents and the aging process. A strong natural antioxidant that helps protect and prolong hair colour. 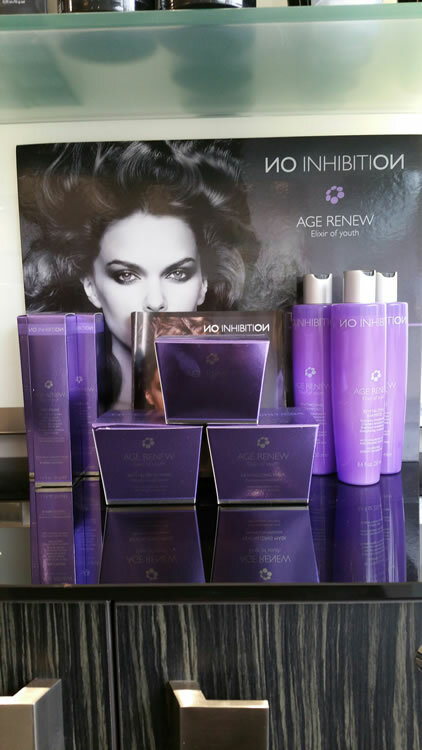 No inhibition AGE RENEW system, revitalizes and restores the hair’s natural beauty, leaving it soft, radiant, and full of vitality. A combination of organic elements and scientifically proven ingredients, creates the ideal formula to combat the stresses caused by pollution UV rays, and the aging process. 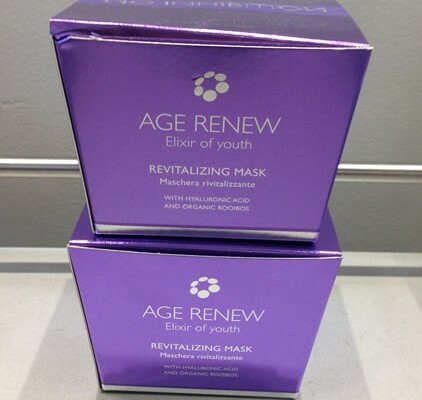 We love this product and it is already selling fast!